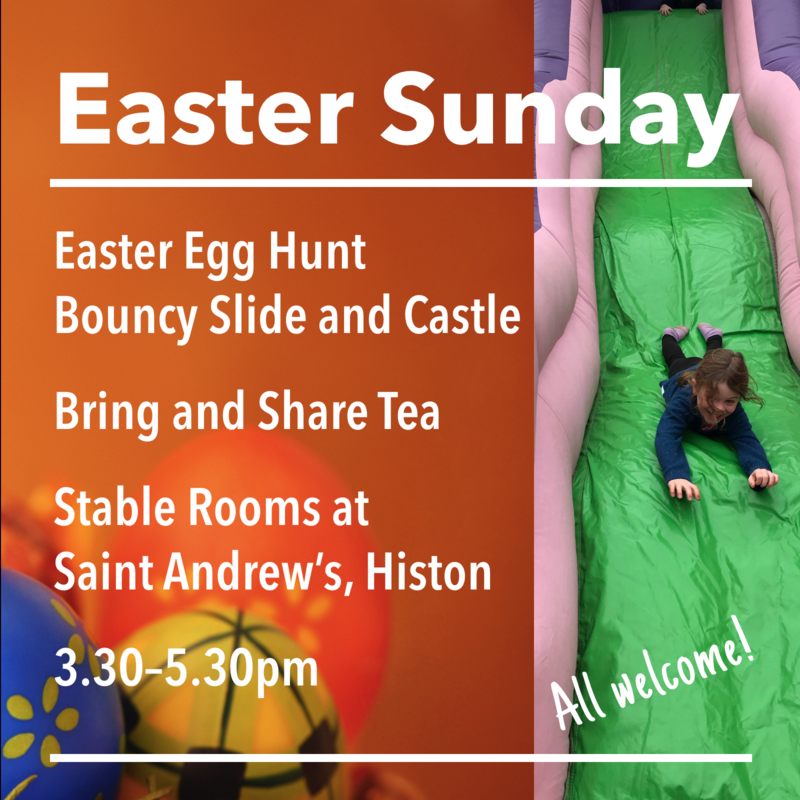 Come along and join us for this fun and social event on Easter Sunday afternoon. There will be tea and coffee on tap and lots for children to do to burn off the Easter Chocolate! Oh, and there will be some more chocolate Easter eggs to find too!